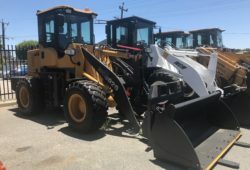 Brand New WCM928 with 4 Cyl 85 HP Yuchai Engine with GP Bucket, now for only $33,750 incl GST. Quick-HItch Upgrade Kit for Junlian Wheel Loaders for models JL833 and JL835. 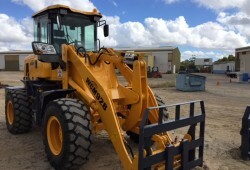 Brand New 5 Ton Wheel Loader, only $28,900 incl GST. With quick-hitch, Bucket & Forks. Aircon, Joystick & Reverse Camera. Brand New WCM 958G-II Wheel Loader now back in stock! 17 Ton with ROPS, Rear Camera, Aircon, Cummins Engine, Forks, Big GP Bucket (3cube), ZF Type Gear Box. We have the Backside out of our Pants! 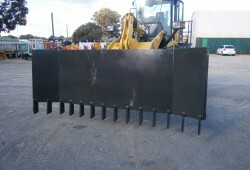 It is time to buy WCM Loaders! Copyright © 2016 Worldwide Construction Machinery.